AT CUBA CIGAR STORE - B. & O'C. 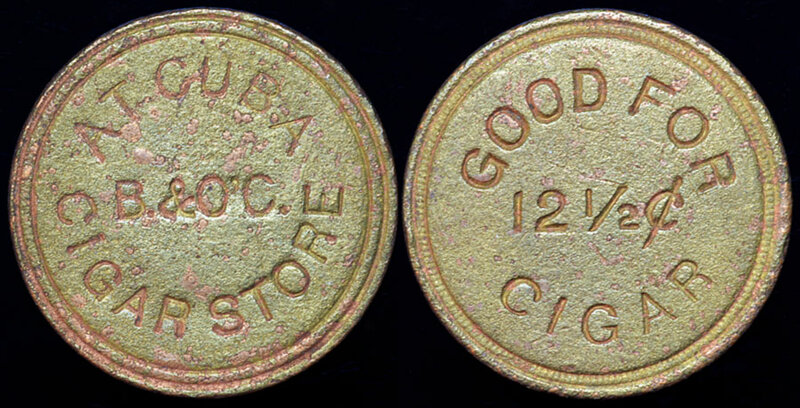 - CIGAR STORE; Rx: GOOD FOR 12 1/2c CIGAR. Bauer and O'Conner (1883 - 1884), lists as rarity R9.